In 2012, this country witnessed the worst floods in its chequered history. Every state in the country, north and south, east and west, experienced the destructive power of floods. Twelve of the states were the worst affected. The floods killed more than 300 people nation-wide; precious farm crops were washed away, wreaking the lives of thousands of peasant farmers across the country. Five years later, my guess is that thousands of them have still not fully recovered from the watery misfortune visited on them. President Goodluck Jonathan rose to the situation – to my loud applause. In perhaps his most responsive action as president, he appointed a 31-member Flood Relief and Rehabilitation Committee co-chaired by Aliko Dangote and Olisa Agbakola. Dr. Mike Adenuga was appointed chief fund mobiliser. I think the president made a careful choice of men and women whose integrity as good managers of public funds was above board. We have had experiences of such fund being misspent and unaccounted for. Jonathan did not want this to happen to his jumbo helping hand. 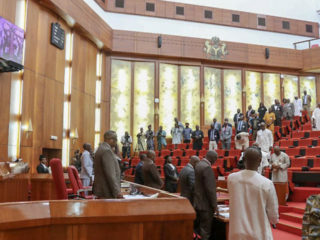 In his national broadcast on October 9 at which he announced the setting up of the committee, Jonathan also announced the release of N17.6 billion by the Federal Government to the committee for its work. 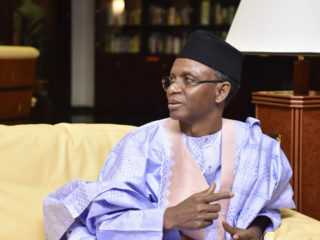 The states, according him, would receive N13.3 billion and Federal Government agencies would use the remaining N4.3 billion for the same purpose. The states were categorised into A, B, C, D, in descending order of the degree of the disaster visited on them. Benue, Bayelsa, Delta, Anambra, Oyo and Kogi states were appropriately put in category A. The A states were the worst hit by the floods. Jonathan’s generosity excused his tardiness in responding to the disaster. Implicit in his response was the unexpressed hope that the next time nature chooses to be unkind to fellow country men and women, it would not find it funny. 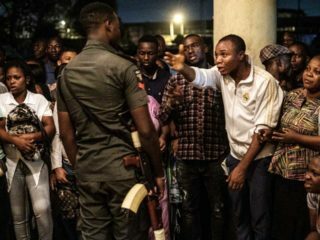 The Nigerian state would be prepared to meet its force with force. It has not happened. It has been five years since the floods underlined our lack of unpreparedness to meet disasters, natural or man-made, in a determined manner to save lives and property. No nation can stop or prevent a natural disaster but nations that are prepared take steps, not in the face of the disaster, but as a deliberate, necessary and standing policy to minimize the damage. We still have not shown that inclination. Every rainy season has now become a flood disaster season. Various parts of the country experience floods and the consequent loss of lives and property as well as peasant farm holdings every year. 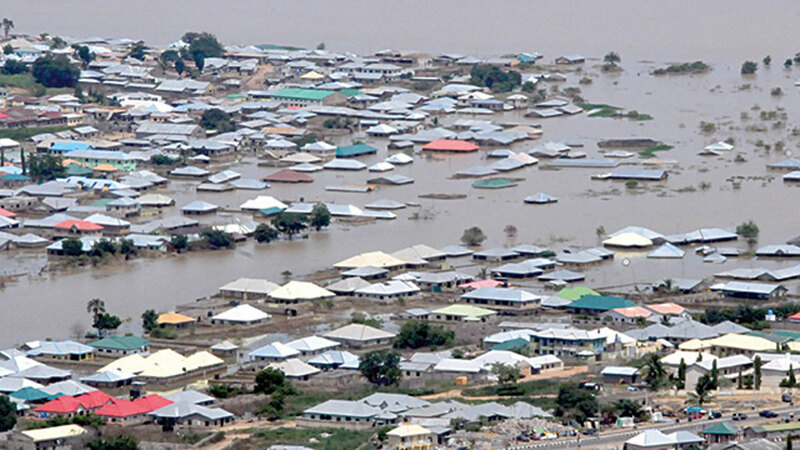 In September 2013, the country flood ravaged Plateau, Kebbi and Cross River states. Four hours of a heavy rainfall in Plateau on September 9 caused flooding in five local government areas. Four of the worst affected local government areas were Kanam, Jos North, Barkin Ladi and Shendam. Some 300 houses in these localities were destroyed. Livestock and food crops were destroyed. No one knew for sure how many people swept off by the flood lived to tell their story. On the 5th of the same month, more than 100 houses yielded to the destructive power of flood in nine villages in Kebbi State. Luckily, only one person died. Forty-two others sustained injuries. Some people in Cross River State were not that lucky. Seven people died in floods and landslides after a downpour on September 4. On with the grim statistics. In June 2014, 15 people, three of them children, were killed in a flood that swept parts of Oyo State. In 2015, 302,000 people in 10 local government areas in Adamawa State were affected by flood said to have been triggered by spillage from a damaged dam in Gombe State. I could go on, piling up the grim statistics but there is no need for that. And so, here we are. Benue State is the pathetic face of a nation unprepared. So far, 100,000 people have been displaced from their homes. At least 4,000 houses have been damaged too. We do not know yet how people must have lost their lives. There is no way a flood of this magnitude could not have taken a toll on human lives, livestock and farm crops. Some NGOs both local and foreign, including the Red Cross, have never been found wanting in being their brothers and sisters’ keepers in a sad and desperate situation such as this. That has never been the problem. The affected men and women and children would be taken care of. Those who have lost everything will be cared for as refugees. And then when the flood recedes and the NGOs return to their various bases here and abroad, we would still be left with what we have always been left with – no plan, no policy and no determination to do more than sympathise with the unfortunate men and women at the receiving of nature’s unprovoked fury. We tend to respond to disaster on case by case basis. We never have a comprehensive long term plan that quickly kicks in when the rains come and water in the river or the cluttered gutters begin to rise. It takes more than a day for the flood to rise to a level of disaster. What has been the response of state governments each time they are confronted with this basic challenge of helping the helpless and the vulnerable? I do not see any efforts at evacuating people in flood prone areas and who are clearly in imminent danger of being caught in it. As I pointed out earlier, Benue was one of the worst affected states in the 2012 floods. The current flood took the same pattern as the 2012 disaster. Could the extensive damage to lives and property been minimised if the federal and state governments had studied the behaviour of the 2012 flood and taken the necessary steps in dealing with this sort of natural disaster? I believe so. But this is a nation for ever unprepared. I am often amused when the officials of NIMET warn of a possible flood and ask people living in the flood prone areas to evacuate. Evacuation is not an individual responsibility; it is a government responsibility because such people need to be given alternative accommodation and be assisted in various ways to lessen the pain and the trauma of their misfortune. Nature is kind to this country. It has given us everything. But it knows only too well that our capacity for coping with natural disasters would never win us any medals. And so, it keeps away earthquakes and landslides and mudslides and typhoons from us. It can see that we are not proving our mettle as a nation when the rains come down, the water rises, overflows its banks and in a show of strength, destroys everything in its path. I do not think it requires looking into the entrails of the chicken to predict that when, God forbid, it happens again, our patchy patchy response would not have changed. The dead would be buried, the homeless would be accommodated as refugees until the noises die down and it would be business as usual.